Mt. 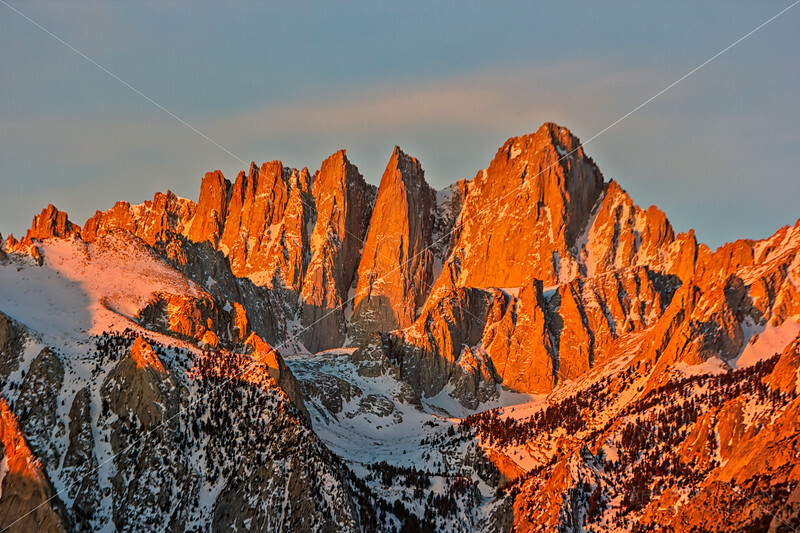 Whitney is set afire by the first light of the Sun. Photographed February 2016.